> In 2019, this initiative has been superseded by a new program Ngarra-Burria: First Peoples Composers. 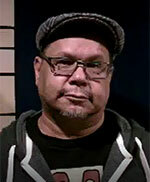 In 2016, Australian Music Centre, together with Moogahlin Performing Arts, APRA AMCOS, the Australian National University School of Music and Ensemble Offspring, launched a new initiative aimed at supporting emerging Aboriginal and Torres Strait Islander composers in new music and jazz. 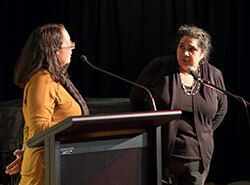 A part of the AMPlify framework of artist development programs, the pilot stage of the Indigenous Composer Initiative took place in NSW and ACT over 2016 and 2017. In 2018, the program continued with Moogahlin and Ensemble Offspring and artistic director Claire Edwardes as main partners, with support from the ANU School of Music, Eora College, AMC and APRA AMCOS. The final concert of the 2018 AMPlify ICI program - with the program freshly renamed Ngarra-Burria: First Peoples Composers - took place on 30 November 2018 in Sydney's Eugene Goossens Hall in Ultimo. You can listen to a New Waves podcast recording of the concert, made available by ABC Classic FM. AMPlify Indigenous Composer Initiative was established to help artists in establishing contacts, networks and relationships with role models, and engaging in knowledge exchange and learning. The focus of the initiative was to identify Indigenous composers not yet properly represented or heard across new art music and jazz, and support them in creating works of new Indigenous music in score format. This in turn would help to create new opportunities, in new contexts, for Indigenous people: e.g. performance in new music events, schools repertoire, examination syllabi etc. More generally, the Initiative aimed at positively changing the current cultural landscape, and setting up the Indigenous Composer Initiative as a potential model for other states to follow. concert of the pilot program in August 2017. In 2018, Indigenous Composer Initiative continued to work towards these aims, supporting the five participating artists of the pilot stage - Rhyan Clapham, Brenda Gifford, Tim Gray, Troy Russell and Elizabeth Sheppard - in their professional development. A new composer mentor Kim Cunio joined founder and artistic director of the Initative, Chris Sainsbury, while one of the pilot program's mentors, Kevin Hunt, remained in an advisory capacity. The participants had opportunity to further develop their skills and work on their compositions, with individual guidance from program facilitators and artists from Ensemble Offspring. Focus instruments this time around were piano (Roland Peelman), clarinets (Jason Noble), violin (Anna McMichael), voice (Sonya Holowell). Support was again available for score production, and a studio recording is being prepared. Final performance events took place in Canberra and Sydney in November. Exploring further performance possibilities and publishing arrangements is a part of the scope of the project, and a commercial CD recording of the final concert of the pilot program (2017) will be released at a later date. We are very grateful to APRA AMCOS for its funding support for this initiative. Rhyan Clapham's family is from Murrawarri country in Brewarrina NSW. Rhyan has completed Bachelor of Music at the University of NSW, and an Indigenous Studies Honours (focusing on Aboriginal hip hop music) in 2015. A rapper and drummer, he has performed for various events such as Kevin Hunt's 'Our Music' concert at the Sydney Conservatorium, at Yabun NCIE, UNSW corporate and academic events, Koori Radio events and at NAIDOC. In late 2017, Rhyan Clapham was announced as recipient of the 2018 Peter Schulthorpe Music Fellowship for an emerging composer, as part of Create NSW Arts Fellowships. Brenda Gifford is a Yuin woman, originally from Wreck Bay on the south coast of NSW. A composer and classically trained saxophonist, pianist and teacher, she has twenty years of extensive experience as a musician. 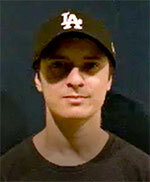 She was a member of the Band Mixed Relations with Bart Willoughby from No Fixed Address. 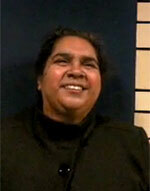 She has toured extensively around Australia and internationally to Native American communities and the Pacific Islands. She worked with Kev Carmody, on his album Eulogy (for a black person), playing saxophone on the track 'Blood Red Rose', album/CD/-Festival/D-30692. She wrote the album sleeve notes for the reissued The Loner album by Uncle Vic Simms. One outcome of the program was that Brenda was commissioned to write a composition called Gambambarawaraga ('seasons' in Dhurgha language) for the Canberra International Music Festival. 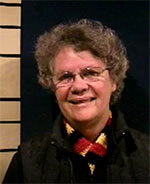 She has conducted over 100 interviews and oral histories with Aboriginal musicians and has curated notes and blogs. Brenda is currently studying composition at ANU. Tim Gray is a Gumbaynggirr/Wiradjuri man who studied at Eora College in 2010-11, 2013 and 2016. He was trained in classical piano up to grade 5 and has always loved film music - his inspirations are John Willliams, Ennio Morricone, John Carpenter, and Hans Zimmer, to name a few. Tim has a reggae/ska band called Green Hand Band, in which he plays the keyboard. 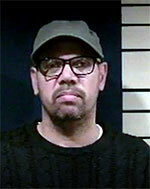 He came out of the emerging artists program at Gadigal/Koori Radio and was also volunteer broadcaster at Koori Radio. He sings in a group called Voices Carry, lead by Sydney choral director Tania Bowra. Troy John Russell is of the Biripai people of the Greater Manning area near Taree, and the Gamillaroi people of the North West Slopes and Plains. Troy’s journey with music began at 11, when a neighbour offered to teach him the fundamentals of music, and Troy flourished. He found an old photograph of his father playing a banjo and learned that his family from Taree was a musical family - a great revelation that has been inspiring him for the last 40 years. After an injury whilst working for Telecom, Troy found himself attending a TAFE college called Eora, where he also made a good friend in Christopher Sainsbury who taught Troy more about music than anyone. Troy has written some good pieces which have impressed a few people and hopes to write more. Elizabeth Sheppard was born in Melbourne and raised in Adelaide, and studied Western and Aboriginal Music and singing under Clemens Leske Snr, Professor David Galliver and Barbara Howard at Adelaide's Elder Conservatorium, Professor Catherine Ellis at Armidale's University of New England, and Opera Chorus Master James Christianson. In 2002-2008 she reconnected to her Noongar Yamatji heritage and culture through Indigenous music, culture and law diploma courses at Sydney's Eora Aboriginal College and Tranby National Indigenous Adult Education Centre. She now lives on Dharug Burramattagul country in New South Wales, and maintains connections with Noongar, Yamatji and Gundungurra country. Several of her compositions have been performed at St Patrick's Cathedral Parramatta, and her Kooranginy Suite was recorded at ANU Music Studio in June 2017. Champions of new music, Ensemble Offspring present concerts from seminal chamber music to free improvisation, alongside creating striking interdisciplinary productions. Ensemble Offspring is led by acclaimed percussionist, Claire Edwardes, and features some of Australia’s most innovative performers. The group has toured to locations such as Hong Kong, London and Warsaw, is regularly featured at MONA FOMA, Sydney and Melbourne Festivals, and has a cult following at their Sizzle series at Petersham Bowling Club. Passionate about nurturing the work of emerging, as well as established composers, Ensemble Offspring has premiered more than 200 works over its 23-year history. If you have further questions about this program, please with message subject AMPlify ICI.